Protecting your skin against ultraviolet rays can significantly reduce your risk of developing skin cancer. Avoiding prolonged exposure to the sun, especially during the heat of the day, can provide added help in staying healthy. Both ultraviolet-A (UVA) and ultraviolet-B (UVB) radiation can cause skin damage and sunburn unless proper protection is used. Using sunscreen can help to protect you and your family against the worst of the sun’s rays inside and outside your car. Enlisting professional help from a company that installs, repairs and treats auto glass in Houston can help you avoid exposure to ultraviolet rays. Here are five keys to shielding your family from the sun throughout the year. 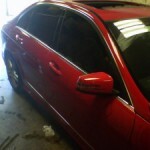 Modern glass coatings and films can provide added protection for you and your passengers. Most windshields provide almost total protection against both UVA and UVB rays thanks to the plastic laminate that holds the layers of tempered glass together. Sunroofs offer similar shielding against the damaging effects of prolonged exposure to sunlight. 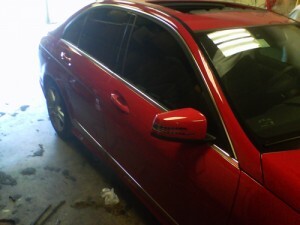 Side and rear auto glass windows, however, typically do not offer the same degree of protection against ultraviolet light. Working with an established Houston glass repair and replacement shop to install tinted or clear UV-blocking film can reduce the risk of skin damage for you and your family. Long-sleeved shirts, long pants, hats and other protective clothing can block a significant percentage of sunlight to reduce the risk of sunburn and other negative effects of prolonged exposure to ultraviolet rays. Especially for younger members of the family, covering up with lightweight clothing can be a practical alternative to sunblock for extended car journeys and can allow greater protection for adults during their daily commutes. Sunglasses provide added protection for your eyes during longer car trips. Wraparound shades are especially useful in providing increased visibility for drivers and passengers while blocking out harmful ultraviolet radiation that can cause increased risk of skin cancer over time. These types of eyewear can also improve visibility during early morning and late afternoon hours when bright sunlight can generate glare directly in the eyes of drivers. Protecting your eyes against the damaging effects of sunlight can have a positive effect on your driving, your vision and your overall state of health. If you regularly commute during daylight hours, you may have noticed that your left arm is tanned much more than your right. This provides ample evidence of the effects of sun during your drive to and from work. Applying sunblock with a sun protection factor (SPF) of 30 or higher can help you prevent uneven tan lines on your arms and, more importantly, can prevent the damaging effects of the sun during your daily commute. This is especially important for drivers who often travel with their windows down or sunroof open during the sunniest parts of the day. Monitoring the time spent on the road and in the sun is vital to ensure the most effective protection against UVA and UVB radiation. While sunscreen, UV-blocking glass treatments and clothing can reduce the risks associated with ultraviolet rays, avoiding prolonged exposure to the sun is the single most effective way to protect yourself and your family against skin cancer later on in life. Taking steps to sun-proof your vehicle is a solid investment in your future health. Enlisting the services of an established Houston windshield replacement company can help you to minimize your exposure to harmful UVA and UVB rays while ensuring the most attractive results for your vehicle. A small investment in money and time now can pay off in reduced risks of skin cancer for you and your passengers throughout your lives. This entry was posted in Auto Glass Tinting and tagged Auto Glass Houston, Houston Glass Repair, Houston Windshield Replacement. Bookmark the permalink.